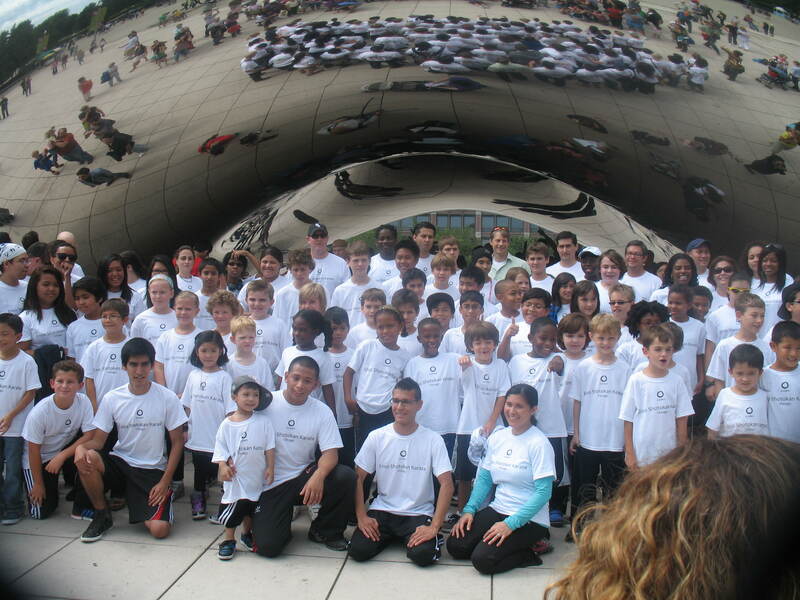 On September 10, a crowd at Millennium Park was surprised with a flash mob. Performed by karate students from Triton College and Enso Shotokan Karate, the group was led by karate instructor Jay Nacu. People taking pictures by the bean were given a surprise karate lesson when Instructor Nacu kicked off the mob. After each teaching, the karate group grew bigger and bigger as more students joined the mob. The group, featuring over 130 students of varying ages, marveled the crowd of bystanders and made it a day to remember as they were cheered on by the public. The excitement of the event was featured on the ABC7 evening news. Prior to the event, participants were told to meet by the bean but did not know the reason.Jay expressed his gratitude and thanks to his crew and everyone that watched and supported the mob on his Facebook page. Within minutes there were over fifty videos and photos flooding popular social networking sites. As the students continue to work their way towards their black belts, hopefully the crew will be able bless more people with their craft again in the near future.